Both of these are freaking delectable! Oh, yes, you definitely need a toad house. 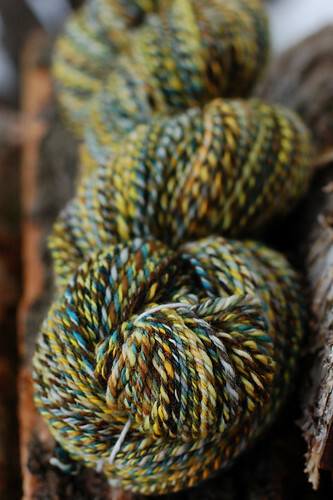 The yarns are freaking awesome, I love them to pieces. Oh wow both of those are freaking gorgeous. Ok, seriously, this is amazing. You are getting me to think outside of the box here. I just have to try this. So beautiful!!! 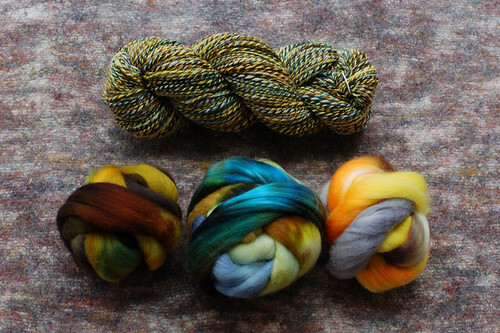 Absolutely gorgeous yarns! Very inspiring. Thank you for sharing the idea. I have to try it some day. my bob these are so full of gorgeous! French fries in duck fat?!? Awsome, duck fat is my favourite fat- too bad not enough here in the US, but the French know what’s good! 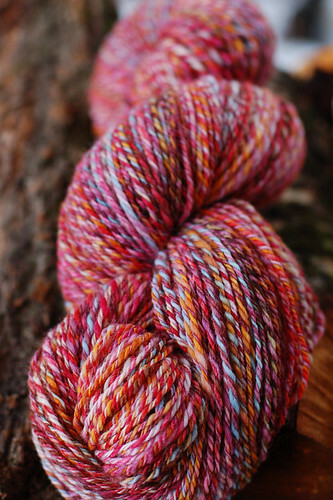 Wonderful colorways, very nice spinning! These are freaking delectable! 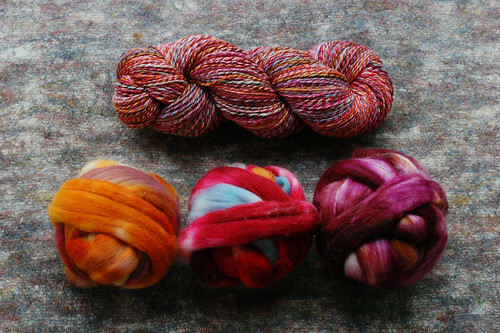 Absolutely gorgeous yarns!